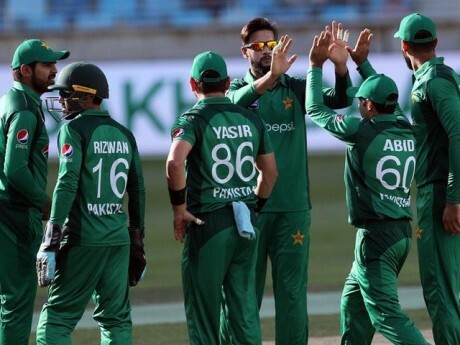 Pakistan has recently played the one day international matches series against Australia and the kangaroos have done the white wash against Pakistan by winning all 5 one day international matches series being played in UAE. Pakistan cricket team has focused on the ICC Cricket World Cup 2019. Pakistan World Cup Squad With Recent Form. The squad for the coming mega event of world cup 2019 is yet to be finalized and the fitness test of the players for the world cup is a going to be announced on 14th April. The players like Ahmed Shahzad, Wahab Riaz and Muhammad Husnain are waiting for the announcement of the final squad. The competition among the players is tough and if you keep the recent performance of the players in mind, the final squad should be selected for the coming world cup. The skipper and first choice wicket keeper, Sarfaraz Ahmed is the first name on the list. There is the question mark against his fitness. According to the head coach, Mickey Arthur, all of the players will have to pass the fitness test, if they are going to be selected. Sarfaraz Ahmed has played last 6 ODI, in which he scored 126 runs with the average of 31.50 and the highest score is 64 runs. Muhammad Rizwan is also a wicket keeper batsman and he has shown wonderful performance against Australia. He has shown great performance while batting under pressure and he impressed the selectors. He has made his case stronger for his selection in the national team with two centuries against Australia in the recent series. He played 7 ODIs in which he scored 245 runs with the average of 49 runs and the highest score is 115 runs. Fakhar Zaman is the leading Pakistan opening batsman, who plays aggressively. The right choice for his batting is top of the order. His aggressive batting style has helped the national team of Pakistan in the final of ICC Champions Trophy against India. He played total 8 ODI matches recently in which he scored 321 runs with the average of 40.12 and his highest total is 88 runs. Imam ul Haq is the second fastest player, who completed his fastest 1000 runs in ODIs. He showed good performance in PSLand he convinced everyone about his performance. He played 10 ODIs recently in which he made 384 runs with the average of 42.66 runs. His highest total is 101 in the recent ODI matches. Abid Ali did his debut against Australia and he made the century in his debut match, which has shown his performance and fitness. He is the back-up option to Imam and Fakhar Zaman. He is 31 years old and he has enough experience and has shown the solid domestic performance to justify his selection in the national team to play the coming world cup. He played two ODI matches in which he scored 112 runs and the highest score is 112 runs. Babar Azam is considered the backbone of middle order of Pakistani cricket team. He enjoyed the great success in recent matches. He is world class player and he is compared with the Joe Roots of England and Virat Kohli of India. He is young player and he has enough time to prove this talent and pile up score for him and his team. he played only 8 ODIs recently and he made 333 runs with the average of 47.52 in which 92 is his highest score. Shoaib Malik is the most experienced player of Pakistani cricket team. He has played lot of ODI matches for Pakistan and he became part of the world cup squads in previous editions. His experience can benefit Pakistani cricket team a lot. He is considered good bowler and fielder and can play well in all types of conditions. He played 11 ODIs recently in which he made 255 runs with the average of 25.50 runs with the highest score of 60 runs. Haris Sohail returned to the national team to become part of world cup squad. He was injured and he did not play enough in the recent matches against Australia. He has shown great composure and fitness throughout the series and he made two centuries. He played 5 ODIs, in which he scored 291 runs with the average of 72.75 runs. His highest total is 130 runs in the recent matches. Asif Ali is the aggressive batsman and he is mostly test in the T20 international matches so he has the prints of most aggressive players of the shortest format of cricket. Recently, he played only one ODI match, in which he scored only 9 runs, which is not enough to test his potential. Although this performance, he has proved that he is quality finisher and he has the ability to play aggressively to make more and more runs in the short format of cricket and can become danger for the opposition. Faheem Ashraf has shown tremendous performance in the recent matches and he became automatic selection for world cup squad. In the English condition during world cup 2019, he seam bowling can benefit Pakistani team. He played only 6 ODIs matches, in which he had fewer chances to show his performance. He also took only one wicket but his performance in PSL 4 was impressive, which became main reason of his selection in ICC Cricket world cup 2019 squad. Shadab Khan is the leading Pakistani all rounder, who got the permanent spot in the national cricket team of Pakistan. He is the leg spinner and part time hitter to play aggressively. He played 08 ODI matches and he scored 64 runs and took 10 wickets with the bowling average 31.60 runs and the best bowling figure is 4/38. Imad Waseem is the patent all rounder and he proved his abilities. He comes for batting at the low order and he plays well for Pakistan when the aggressive batting is needed. He played 11 ODI matches and scored 281 runs with the average of 93.66 runs with highest score of 50 runs and he took five wickets. He is aggressive and talented players for the death overs as he has the potential to play aggressively as and when he is required to play fast. Hassan Ali has proved that he is the key asset of Pakistan to play at the big stage. He has proved his abilities in all formats of cricket. He is excellent in bowling as he has great speed and he is also good in fielding. He showed good performance in PSL 4 and he is the good selection for 2019 World Cup. He played 6 matches and took 4 wickets with the best bowling average of 59 for 2. Shaheen Shah Afridi is only 19 years old and he has proved his abilities in the international cricket. He has great pace and he will get good bounce and seam, which will help to get more and more wickets. He played only 7 ODIs and he will get only 15 wickets with the bowling average of 16.06. He has the best bowling average of 38 for 4 wickets. Junaid Khan is the leading and talented fast bowler, who is mostly used as reserve bowler. This left arm pacer has performed well as and when he is called in the team. The English conditions are good for him and they suit to his style of bowling. He has excellent experience and he played 4 ODI matches and he took 4 wickets with the bowling average of 58.50 and best bowling figure is 73 for 3. Wahab Riaz is the first Pakistani bowler, who got 50 wickets in PSL. He has been dominating domestic league of Pakistan. He has improved his form after dropping from the international side and now he is looking to make the comeback in the national team. If any bowler included in World Cup squad is injured, Wahab Riaz will be the first choice for the selector to make the replacement of the injured bowlers.